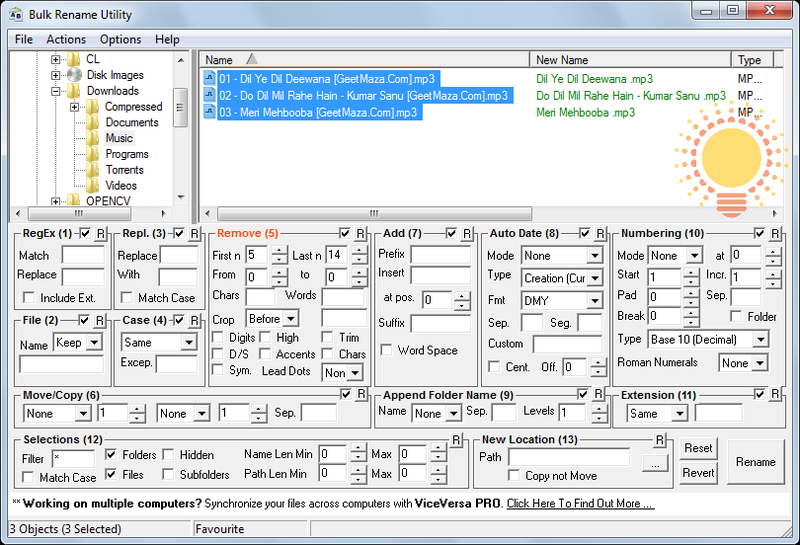 Bulk Rename Utility is the ultimate solution for all your file and folder renaming tasks. It just saves your precious time and helps you out of the boring renaming task. Take a few minutes to familiarize yourself with the dashboard of Bulk Rename Utility and you will be rewarded with an extremely powerful, flexible and lightning fast tool. You can rename files, substitute some or all of the file name, apply numbers and lettering, swap extensions, append with time and date stamps and a lot more than your expectations. Don't be concerned that somewhere in the complications of check and text boxes you may have misstepped. 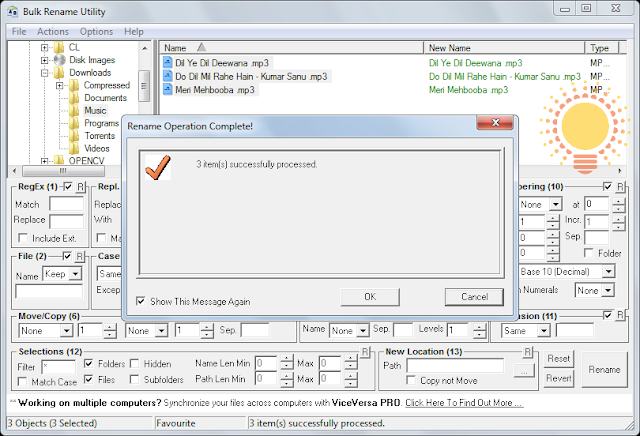 The quick preview function is a fast and handy feature to help you sidestep any mishaps. 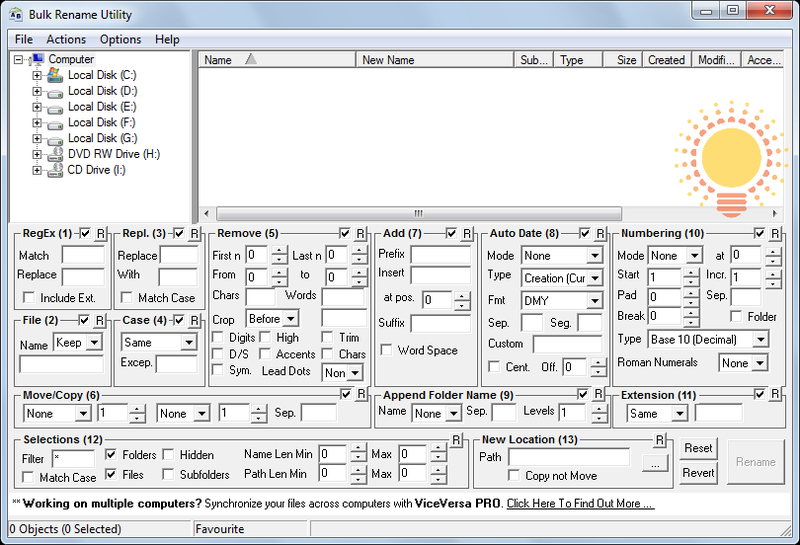 Bulk Rename Utility is a Freeware and available for Windows OS only...!! Now for you convenience and assurance i had added snapshots of the working of this utility. Many a times it happens that, when you download some songs from a website then the files comes with the website name/url appended in the name of the desired file. 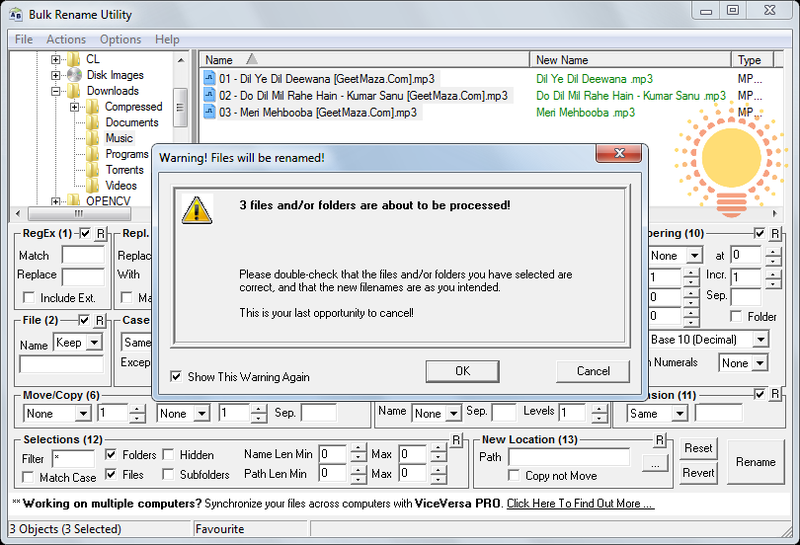 And if you want to remove this annoying name of the site from the file manualy, then it becomes a very hectic task. 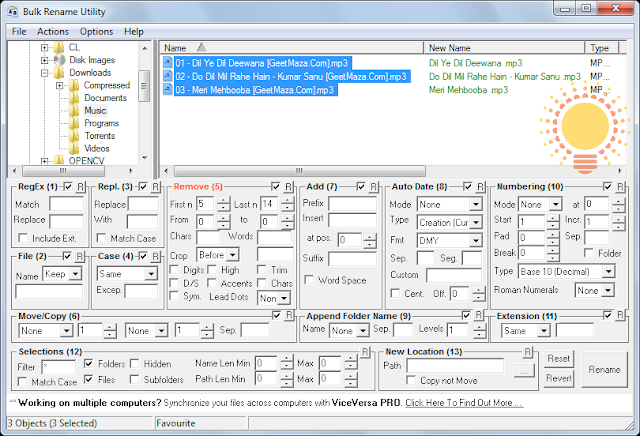 The utility shows the preview of the new file as you add the customization and then select the files to be renamed. 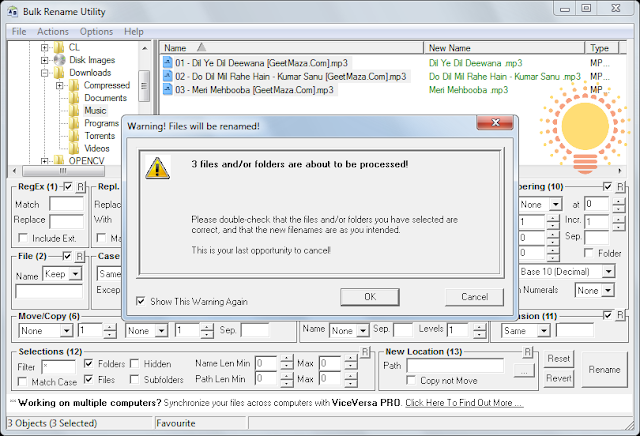 The utility asks for a confirmation before actually renaming the desired files. 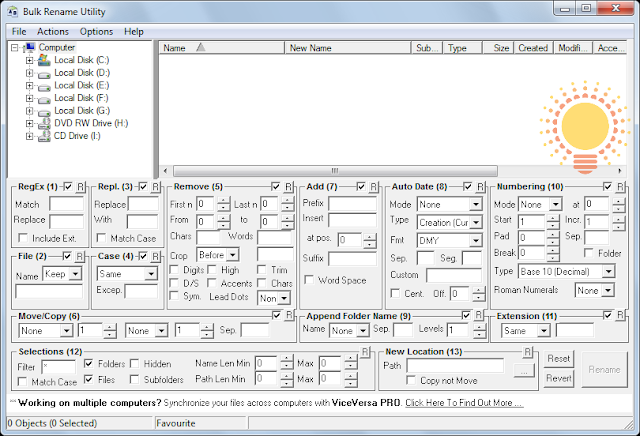 It also provides the number of files and folders queued for renaming. 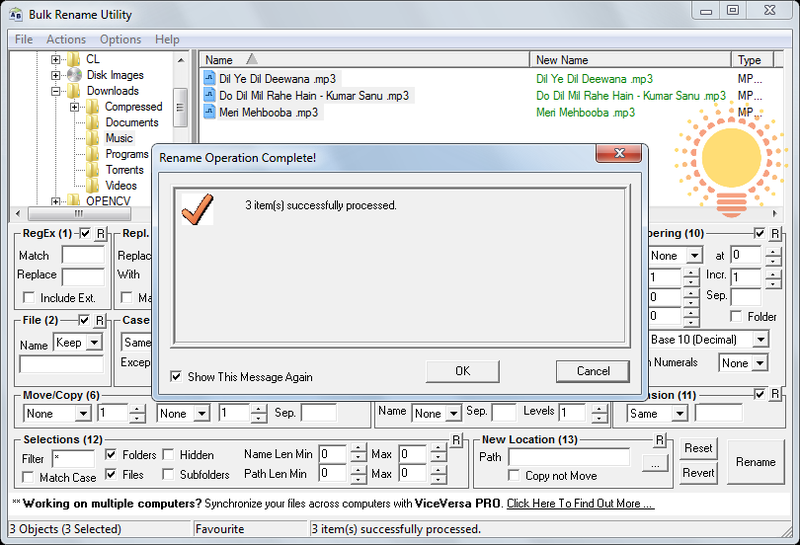 A successful completion dialogue box is popped out as the files/folders are renamed. Check the "Name" and "New Name" of the files are now one and the same.